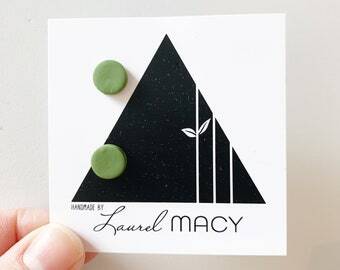 All Clay Stud Earrings Shipping costs are $3.49 for the first pair, and FREE for any additional pairs. 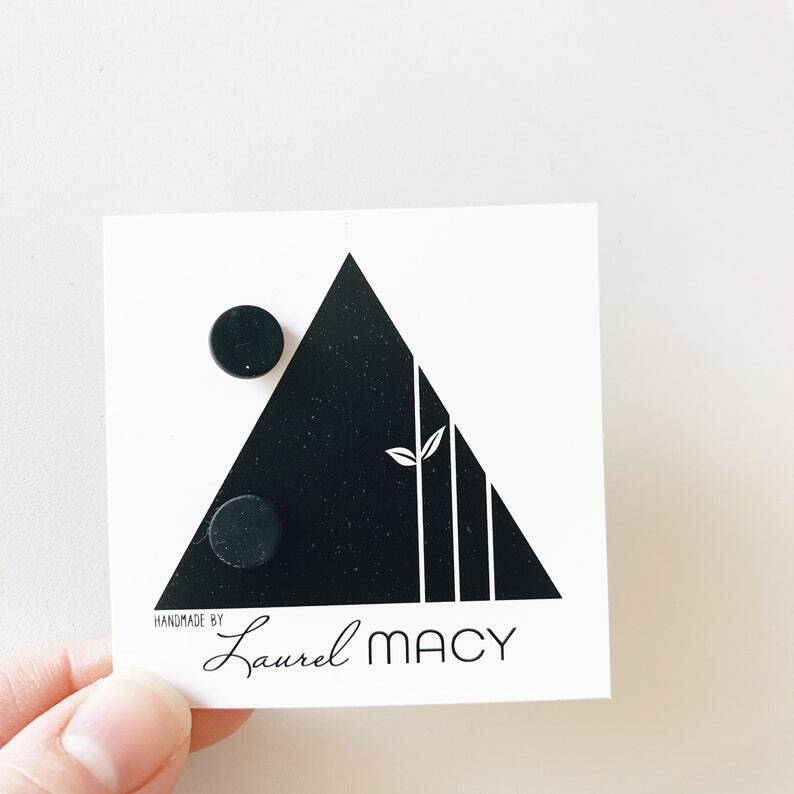 Each earring is uniquely handmade and may have some slight imperfections making them truly one of a kind. 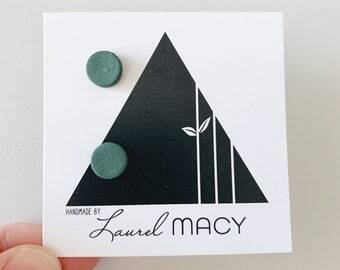 Each small batch grouping like pictured will differ pair to pair. You are not guarantied to received the one pictured, but one that is similar to its likeness. 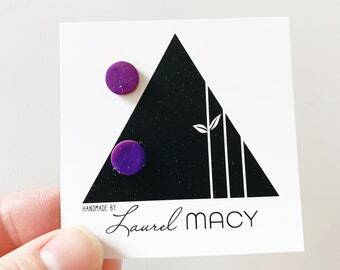 Handmade polymer clay stud earrings. 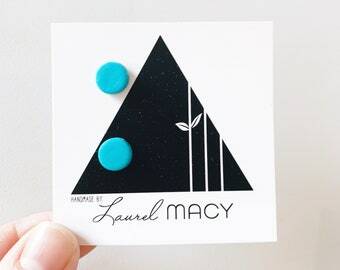 If you have the classic matte black earrings and thought those are good... GET THESE!! EVEN BETTER!!! 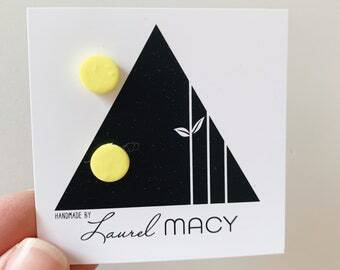 Due to each item being vintage and uniquely handmade, all sales are final. Polymer clay is fragile and may/will break if dropped, bent or pressure applied on top of it (ie, in an envelope.) . 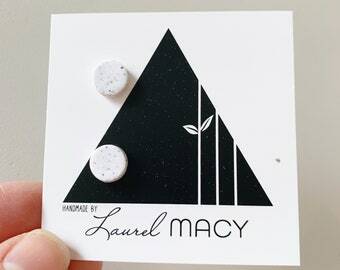 Laurel Macy can not repair broken polymer items that were damaged in your care once bought. 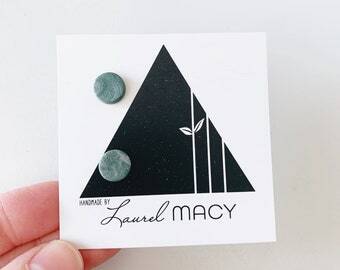 If item is broken upon arrival in shipment please contact Laurel Macy within 7 days of receiving via Etsy. Item will be shipped in 1-3 business days after purchase. 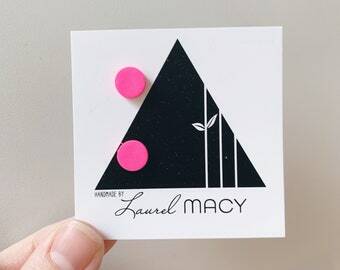 Keep in mind shipping cost also include packaging. All items are shipped using USPS. 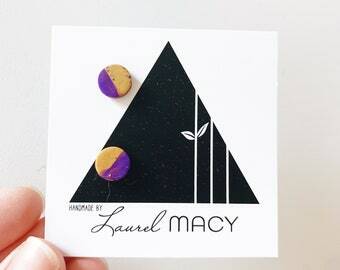 All packages will be shipped through the USPS and will include tracking number which will be sent to you though Etsy once the item has been shipped. Insurance can be added upon request. Seller is not responsible for lost, stolen or damaged items during the delivery process. 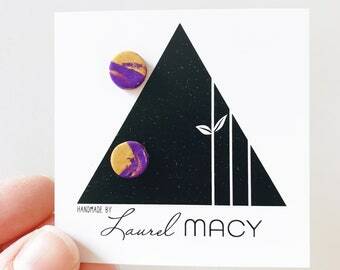 If you would like to buy multiple items shipping can be combined. I offer a coupon for local delivery/pick up. Send me a message let's chat! I do my best to tell the buyer about any imperfections the item may have. Due to the items being vintage and unique they are not all perfect, and may have some imperfections that I have looked over. Check pictures, feel free to ask questions!